It’s time for some good cheer so our biggest update yet is here! Get it NowOur Christmas update to the PRO version of the hugely successful Into the Twilight is here! It’s got 30 New Levels, that’s 60 in total! It’s got all the great features you know and love with even more wonderfully engaging graphics and addictive gameplay. It’s even got a new simpler and easier menu system so can you get at all that new content & our new Bonus Levels. 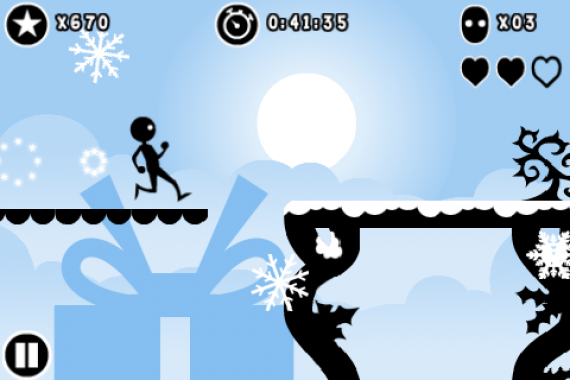 You get new traps, more multi-routes, and even some really cool new Christmas graphics in the Bonus Levels. Don’t forget to grab Into the Twilight Lite as well; it’s free, comes with completely different Levels and has a surprise for Christmas too!